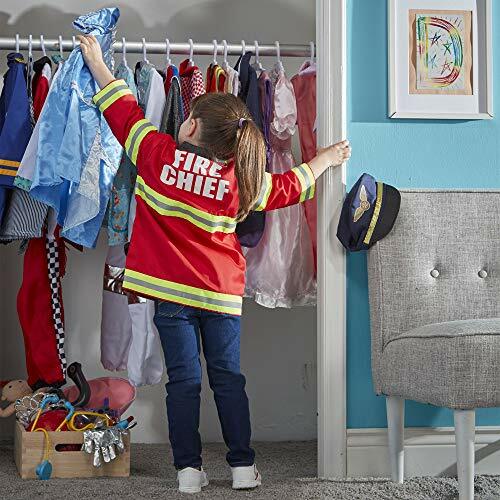 DURABLE FIRE CHIEF DRESS-UP COSTUME: The Melissa & Doug Fire Chief Role Play Costume Set is made from high-quality materials to ensure safety and durability. 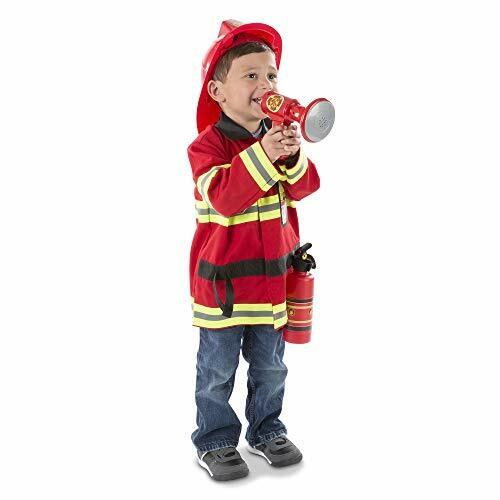 It includes six accessories that help children play the part. 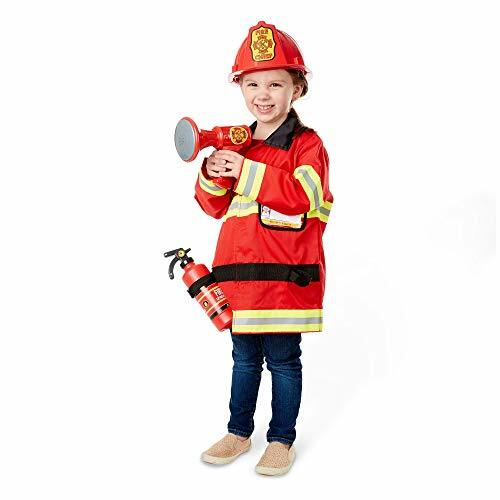 REALISTIC FIRE CHIEF ACCESSORIES: The Melissa & Doug fire chief pretend play outfit comes with a jacket, helmet, badge, fire extinguisher, working bullhorn, and reusable name tag for added realistic features. 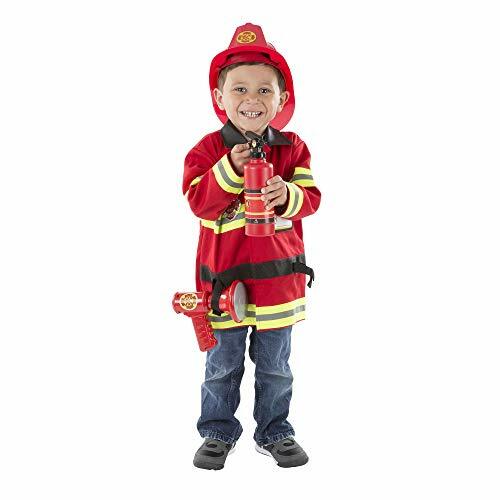 EASY TO CARE FOR: This fireman outfit for kids is easy to care for and clean. 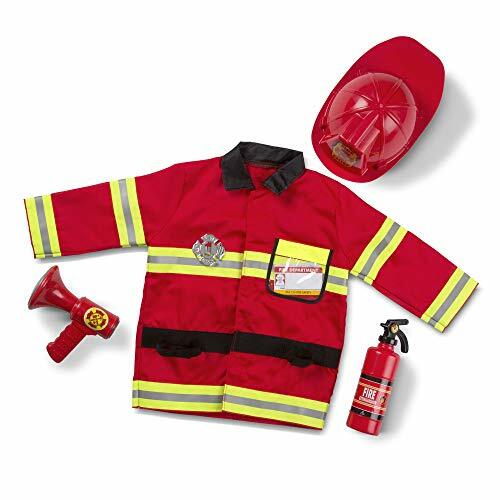 The jacket is machine washable, while the accessories are made from easy-to-clean materials that simply wipe clean. 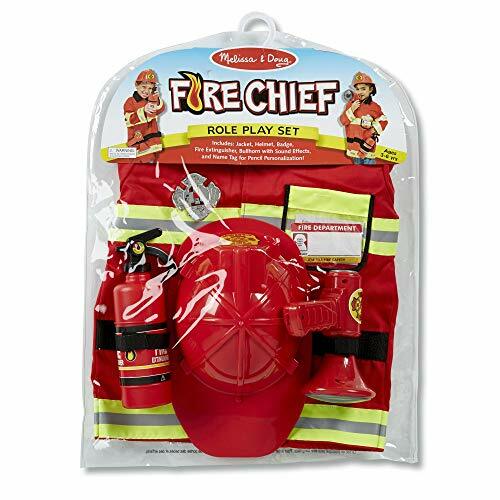 GREAT GIFT FOR AGES 3 TO 6 YEARS: The Melissa & Doug Fire Chief Role Play Costume Set is an entertaining gift for kids 3 to 6 years old. 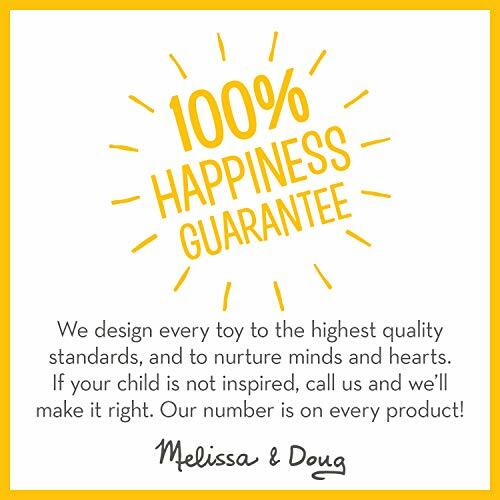 Add the Melissa & Doug Classic Fire Truck Play Set to round out the hands-on, screen-free play experience.